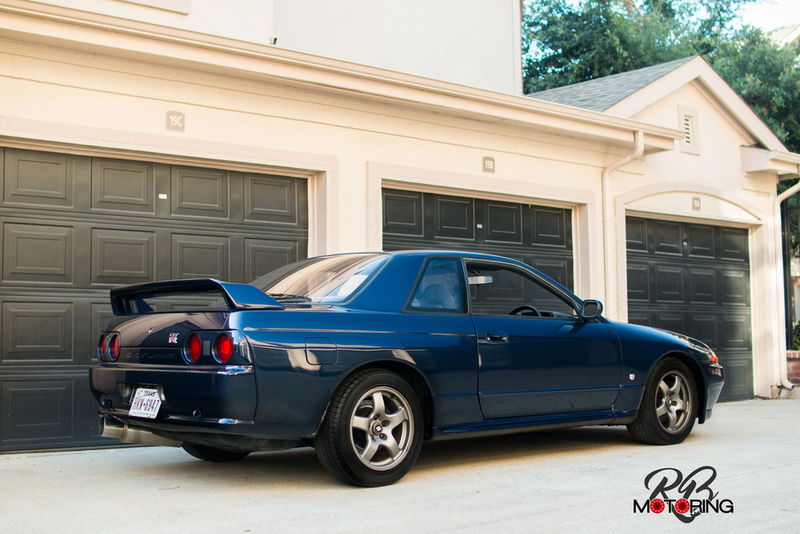 This R32 GTR is easily the cleanest Skyline we have brought in to date. 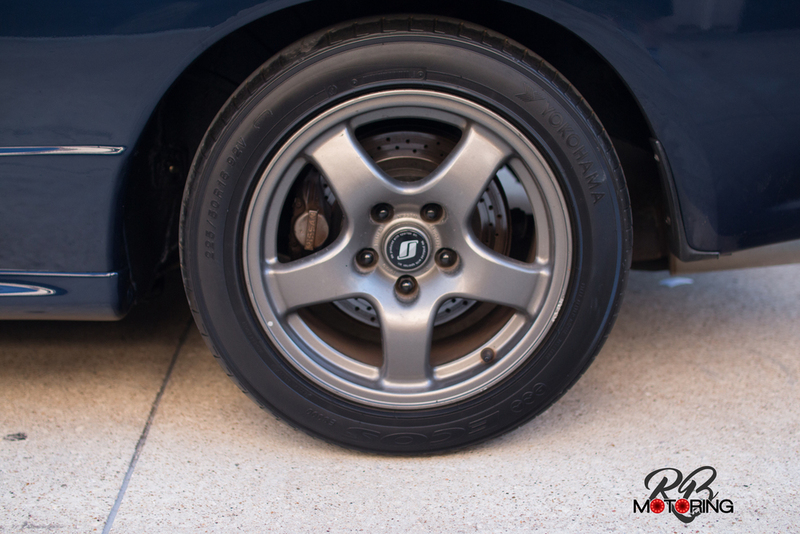 The factory TH1 paint shines like new, with the only imperfection being a couple scuffs to the front lip. TH1 is one of the most rare color codes the GTR came in, making up less than 3% of all GTRs made. 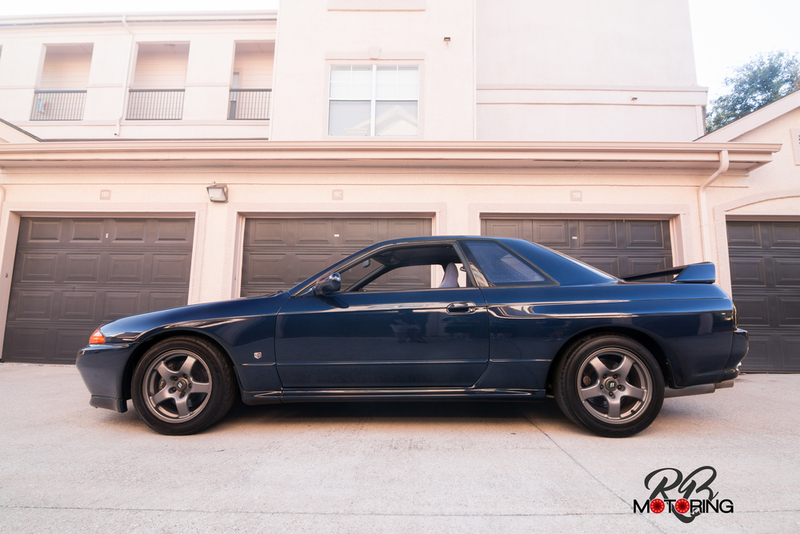 The stock R32 GTR wheels have a few spots of curbing, and one wheel has a significant rash. Overall the tires are in okay shape but will probably need a new set of front tires in the next 1000 miles. Engine wise, this GTR is 99% stock. The intakes have been replaced with a set of M's and pod filters, and a GEAR'S strut bar was added. The stock turbos spool nicely and the car pulls hard from first to fifth. The transmission shifts smoothly in all gears. As with many GTRs, there is a slight rattle from the throwout bearing. We replaced the battery with a new unit upon arrival. The most modified part of this vehicle is the suspension. Many of the front and rear suspension has been upgraded to NISMO units. The stock struts and springs are still present, and compress and decompress well. Inside, the factory interior is retained. The stock stereo still powers on, but broadcasts static due to the differing frequencies from Japan the the USA. The dash does have the unfortunate bubble. A NISMO speedometer was installed, reading roughly 99,000KMs. We believe this mileage to be accurate due to the condition of the car, and a few other signs like the remaining paint on the intake plenum. There isn't a ton to write about this car due to how stock it has been kept, and how great the condition is.